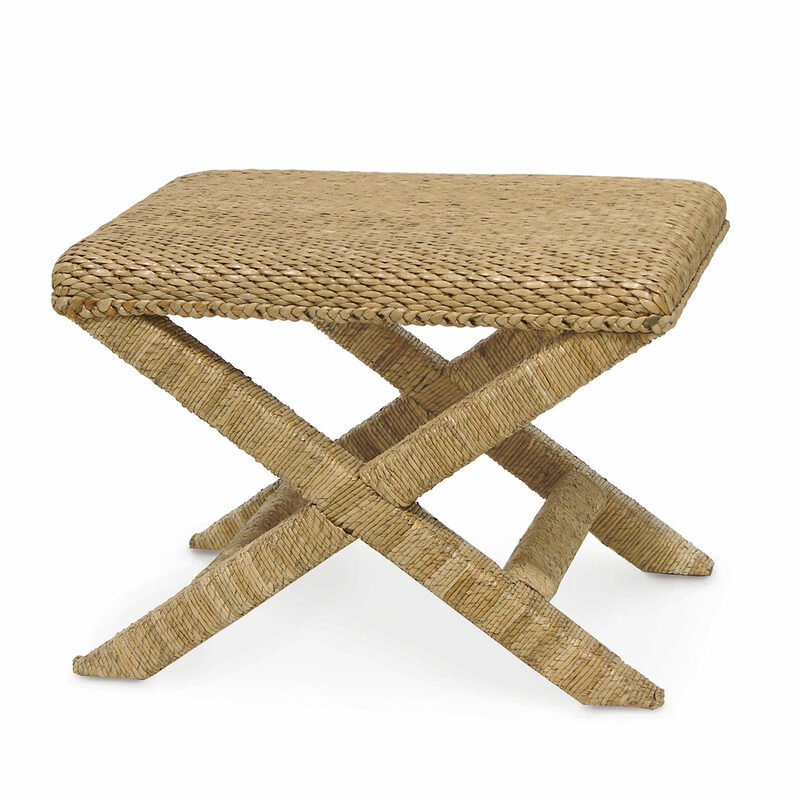 Plantation hardwood frame and legs with seat woven in natural seagrass fibers in a slip stitch pattern. 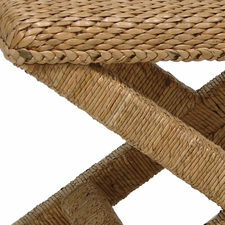 Legs wrapped with natural seagrass rope. Available only as shown.